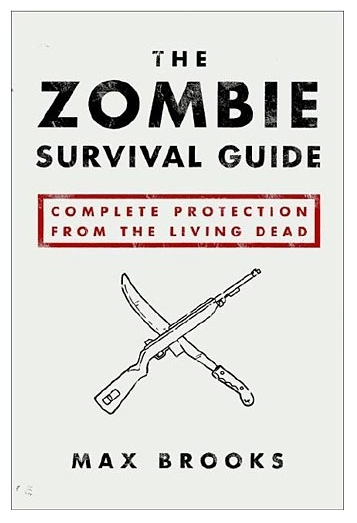 The backpack you choose for your survival kit may be one of the most important decisions you make in the course of outfitting yourself for the Zombie Apocalypse. As a result, there are many factors which come into play during the backpack selection process. We’ll start out by addressing some of the most critical issues at hand and then move on to my top 3 picks from what is on the market today. Why are backpacks so important? First things first, you may be thinking, “What’s the big deal? I just get a bag and throw my stuff in it and then off we go. All backpacks are the same, right?” Wrong. Almost every backpack on the market today has been designed with a specific activity or body type in mind. 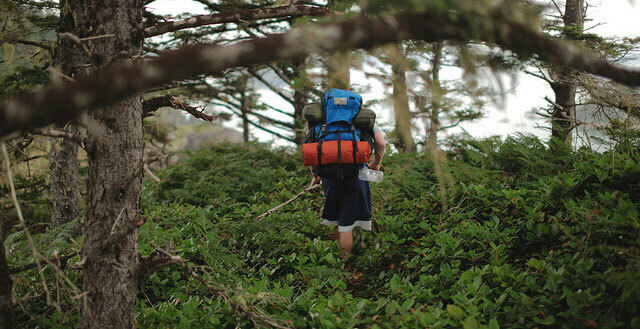 If you don’t take this into consideration when selecting a pack, you may end up with an awkward or uncomfortable system that hinders you more than it helps. It is very, very important that if at all possible, you get sized for the pack you decide on before you buy it. Does this mean you have to go to an outdoor store and get measured for your backpack? No. 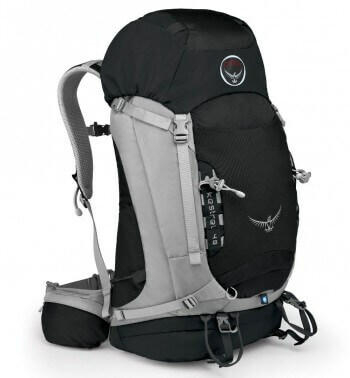 Most backpack companies today offer easy to follow measurement guidelines on their websites. With that being said, there’s nothing wrong with going in for a fitting and trying on some packs to get the feel for them and then scouting around online for better pricing. (just don’t tell the sales people that’s what you’re doing, they’ll probably stop helping you). Typical measurements are as simple as torso length and waist circumference. This small step will pay dividends in your future. Secondly, many times in life (and in zombie survival situations) our knee-jerk reaction is to assume that bigger means better. Just like we discussed in some of our other pages (i.e.-firearms) many times having equipment that is just big enough to get the job done, and not much bigger, is the best course of action. Thirdly, and probably most important of all, the backpack is the LAST item on your list to acquire, not the first. This may seem counter-intuitive, but it’s not and I’ll explain why. Say you’ve done your research and decided on which system will work best for you and proceed to buy a pack. You’re now locked in to that size and model, regardless of what other equipment you decide to outfit with. If the bag is too small, you may be forced to eliminate (or substitute for) something you’ve decided would be vital to your survival kit. Why not just get a REALLY big bag? Then everything will fit, right? This is possibly the most common and one of the worst mistakes made by backpack implementers today. 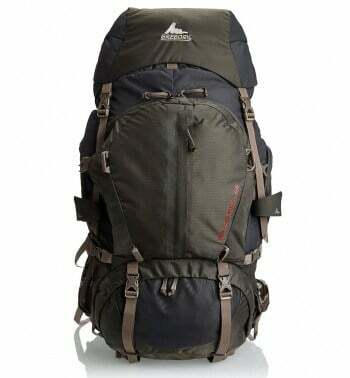 Once you acquire a large bag (for example an expedition bag like the Gregory Whitney) the tendency is to FILL IT UP. Size and weight no longer play terribly critical roles in your gear selection process because you have so much pack capacity and you end up with much too much equipment to carry. Or, conversely with a big bag, you stick to your strategy and use the lightest equipment you can to succeed and end up carrying around a bunch of empty pack and extra frame weight for no good reason. Remember, you’re going to be carrying this personalized survival collection on your back for what may be the rest of your life, so let’s follow the rules and try and make that be as long as possible! 2. Have capacity to carry all of your gear/water and food with a just a little room left over. Right out of the gate, I’d like to say that Osprey makes fantastic fitting packs for most people. The Kestrel 48 is no exception. Read the reviews, talk to someone who owns one, try one on, they’re just DAMN comfortable. The Kestrel 48 has the signature Osprey Hip Belt which is the most comfortable hip belt out there today. The backpack is made of lightweight, but durable ripstop nylon and has an optimum load capacity of between 25lbs and 35lbs (11kg and 17kg). That’s right in the wheel house of where you want to be when things start to get crazy and you need to get moving. It does have some overstuff capability and tops out at about 45lbs (22kg). 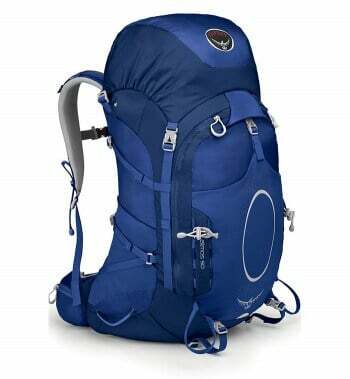 This dynamic and comfortable mid-weight pack also comes with a built in rain-fly that stows away when not in use. One less thing to buy and one less thing to forget! Trust me, a rain-fly is something you won’t think is that important until you don’t have one in a downpour or river crossing. When empty, this pack weighs in at 3lbs 5oz (1.58kg) for the M/L. Sometimes you need a little something burly that can take a punch and keep on trucking. The Baltoro 65 by Gregory is exactly that. Made from incredibly rugged materials (a combination of both 210D DDR and 210Dx420D HD flat weave fabrics), but with an amazing suspension system, the Baltoro 65 is a tough as nails carry-all that wears like a cloud. This pack is at the larger end of the spectrum for “grabbing your gear and getting out of town in a hurry” but it fits SO WELL that it still makes the top three. The secret is in their Response AFS which allows for a customized fit on the suspension system. This is one of those packs where doing your homework and getting the sizing right is CRITICAL. Not to worry, they offer online tutorials to make sure you get it right before you buy one. The Baltoro has a comfortable load capacity of between 40lb and 50lb (18kg and 22kg) and has overstuff capability of around 65lb (28kg). It has a built in, pre-curved aluminum stay for additional support on heavier loads. It has 3 access points, one on the top, one in the middle and one at the bottom. The pack also comes with durable water repellency (DWR) finish on its fabrics as well as water-resistant zippers and a dual layer water-resistant bottom panel. When empty, a size L weighs 5lb 14oz (2.65kg) while the M weighs 5lb 10oz (2.55kg). When you need a fantastic combination of fit, capacity, breathability and durability accept absolutely no substitute for the Osprey Atmos 50. The comfort of the shoulder straps, hip belt and suspension system on this backpack are the stuff of legend. This is often referred to in the backpacking industry as “the last pack you’ll ever buy” which is appropriate given the fact that we’re here to prepare for the Zombie Apocalypse. They’ve done so many things to make this a great backpack that I’m not even sure where to start. It has great little details, like ventilation holes drilled into the shoulder straps, and a super supportive trampoline style suspension system. It has the legendary Osprey waist belt, which takes comfort to a whole new level. It’s a great size for a weekend-getaway or a getaway-fromallthezombies. This is another one where sizing is important! However, if you take a few seconds and determine your size, you won’t be putting on a new backpack you’ll be taking your new best friend for a piggy-back ride. This thing is that comfortable. With a comfortable capacity between 35lb and 50lb (16kg and 21kg) and an overstuff capability in the range of 60lb (26kg) the Atmos 50 is right where you want to be for long term survival and mobility. When empty the L weighs 3lb 4oz (1.48kg) while a M comes in at 3lb 2oz (1.42kg). So there you have it friends! Some basic guidelines to set you down the path to getting the backpack you need to survive when it all falls apart! This list is by no means exhaustive, but it’s a damn fine place to get things started. If you’re like me, once you’ve started something you finish it. Let’s get going. Stay prepared. Stay alive.